As leads pour into databases from an increasing number of sources, lead conversion becomes an even more critical skill for modern real estate agents. That’s why in this article I outline three primary techniques for agents to convert more of their leads into appointments and, ultimately, contracts. The three chief skills you need to improve your lead conversion include building rapport, qualifying leads properly, and effective closing strategies. If you’re having trouble closing, you might be missing these three things. The No. 1 and probably most important thing I see more and more agents missing is the art of building rapport. Imagine a time in your life where you were not in rapport with someone. That awkward moment where you’re sitting across the table, and you’re looking at your phone and they’re looking at their phone and you’re not saying anything. Imagine if you knew exactly what to do to break the ice to really get to what matters most. We know that people prefer to do business with people just like them. If I want to be in rapport, I’m going to use the same language they use. I’m going to speak with the same pace and the same tempo. If you want to convert more leads, you have to get out of yourself and get in the moment with the client. I’m listening for their pace and tempo because it’s going to give me insight into whether they’re visual, auditory or kinesthetic in their communication. I listen for the words they use, their pace, their volume and their tonality. You can take just a little bit of their cadence. Pay attention to their volume, use their language, mirror them. And what happens my friends, is that we build rapport within the first 60 seconds. The moment we break rapport, we break trust. The next step if you want to up your conversions is to ask more qualifying questions. If you want to ultimately convert and book an appointment, you need to know your leads’ motives for taking action. You need to know what’s important to them, what their timing is, what their financial situation is. The next step is to find out if they qualify for motivation. Asking them certain questions can help you find out just how motivated they are to sell their home or buy one. You told me (x,y,z) and in order to achieve your goals, let’s schedule an appointment on (date and time). All I need is 15 minutes. If I can show you the obvious advantages of both your time and money, could it be worth 15 minutes of your time? The bottom line is this my friends. It’s not leads. It’s you, it’s your ability to convert and your ability to build rapport with a wide variety of people. 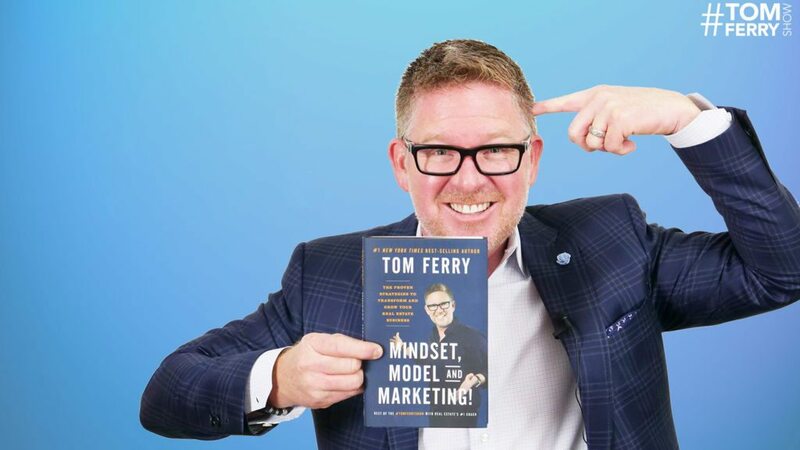 If you’d like more information from Tom Ferry, sign up for our VIP List.